Posted June 15, 2018 by Han Hunter & filed under Headlines, News. 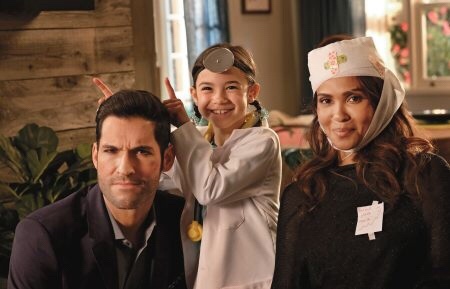 Fans of Lucifer, the Tom Ellis-helmed show, have had their deepest desires heard. Or perhaps it was their trending hashtag, but either way, the rumour that has been circulating the last few days is true; Warner Brothers Television has brokered a deal with an online streaming company. Only it’s not the one everyone expected. Netflix, and not Amazon Prime, has resurrected Lucifer for what is believed to be a 10 episode fourth season run. Fox unexpectedly pulled the plug after three seasons and one almighty cliffhanger, leaving cast, crew and fans alike upset and confused about the decision. Two additional episodes were broadcast, but made no attempt to answer fan questions. If anything, it posed more. This isn’t the first time a show has been saved. Cagney and Lacey was saved not once, but twice. JAG’s saving grace after it was cancelled one season in saw it not only getting nine more seasons, but spawned and franchise by the name of NCIS. Most recently, Timeless was saved through fan intervention and was given a second season. More news about filming, casting and streaming dates as we hear about it.